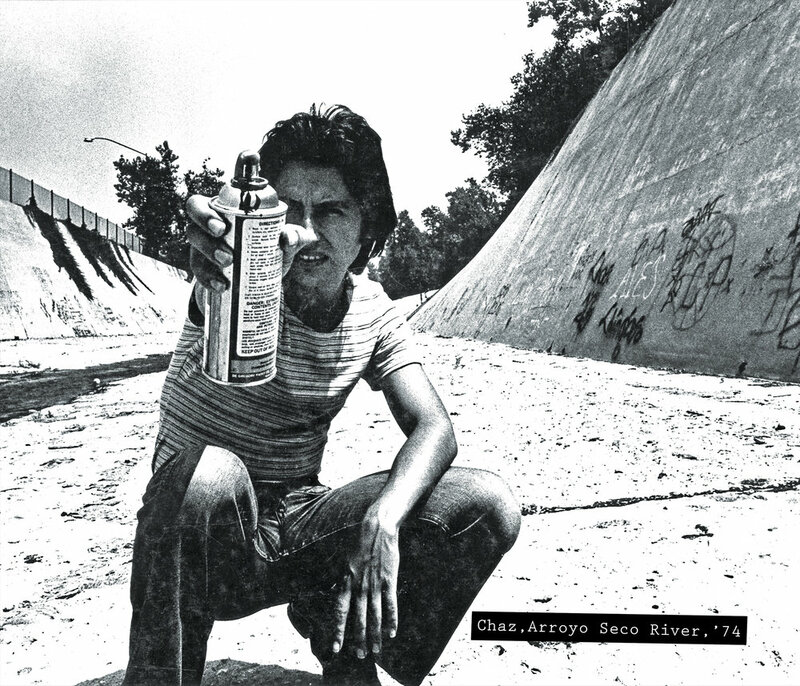 Chaz Bojórquez, Dave Tourjé, John Van Hamersveld, Norton Wisdom and Gary Wong, together and separately, embody the innovative, lively and rebellious spirit of Los Angeles. As diverse as the city itself, the methods and materials these reputed West Coast artists use vary widely, from Wisdom’s loose and spontaneous performance painting to Van Hamersveld’s deliberate, psychedelic graphics, and from Wong’s sophisticated paint/draw paintings to Tourjé’s reverse-painted diatribes and Bojórquez’s painterly street graffiti. What unifies these artists is their shared conviction that being raised in this sprawling metropolis fundamentally and distinctively informs and guides their art. 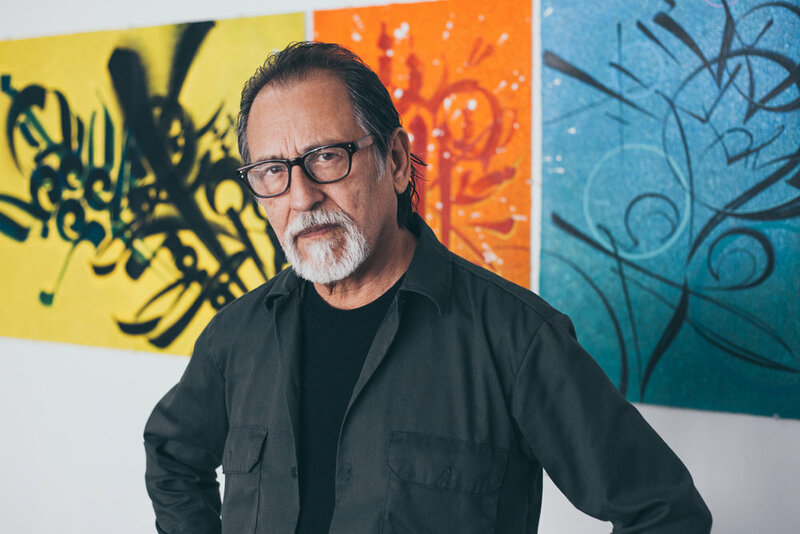 Chaz Bojórquez, known as the godfather of graffiti art and is considered one of the first artists who successfully made the transition from street to gallery. His iconic street image, a stylized skull called “Señor Suerte” (Mr. Luck), has become a seminal icon in graffiti art. Bojórquez’s paintings are in the permanent collections of the Smithsonian, Laguna Museum of Art, M.O.C.A. and L.A.C.M.A., to name only a few. 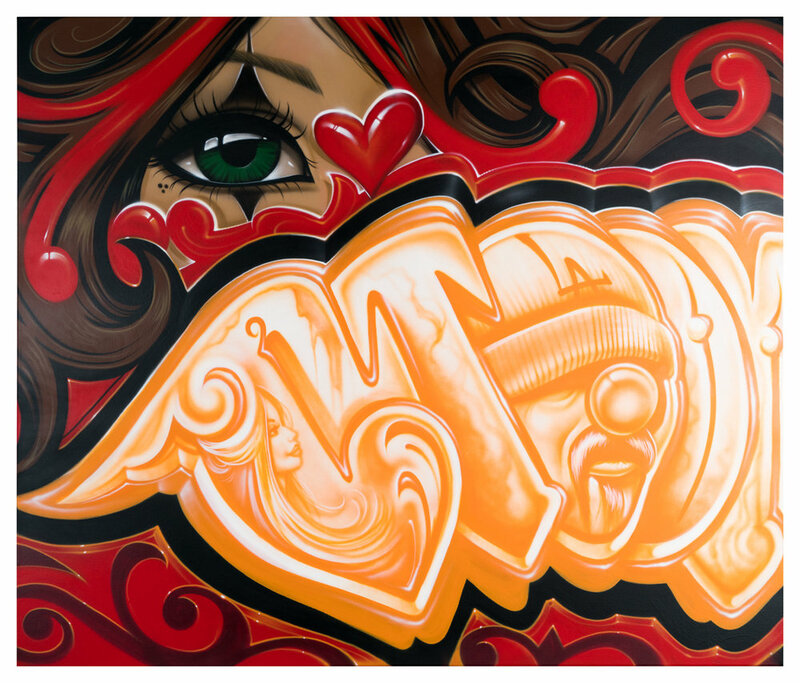 Bojórquez was prominently featured in the renowned Art in the Streets exhibit at MOCA in 2011. 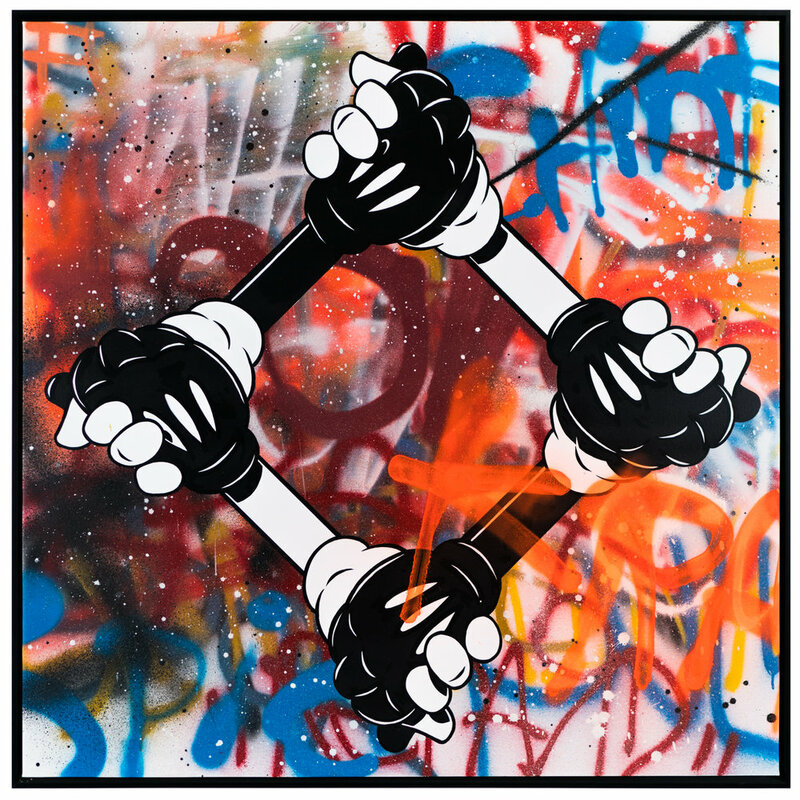 Chaz is known as a primary influence on many contemporary graffiti artists such as Retna, Banksy, Shepard Fairey and others. 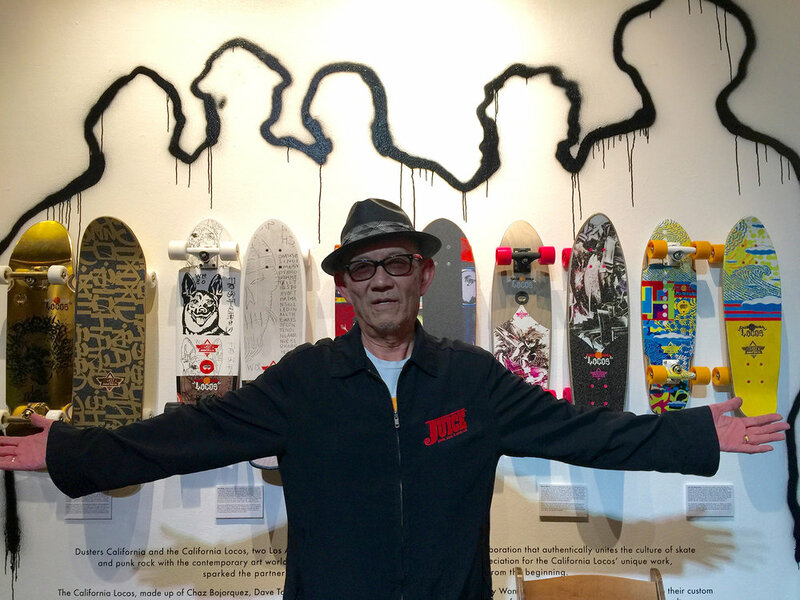 Dave Tourjé was born and raised in the culturally eclectic Northeast L.A. of the 1970s and his upbringing amongst the skaters, gangs, and the area’s tribal friction play heavily in his work. Also a musician, Tourjé was a member of the influential L.A. band the Dissidents, playing shows with Camper Van Beethoven, Saccharine Trust, The Minutemen to name a few. Tourjé’s artwork oscillates between high and low, punk and institutional hegemony and was the subject of a one-man exhibition covering 15 years of paintings on acrylic glass at the Riverside Art Museum in 2002. It has been featured at the Oceanside Museum of Art, the Orange County Museum of Art, and Laguna Art Museum. In 1998, Tourjé helped to form the Chouinard Foundation after purchasing the home of Nelbert Chouinard, in order to help restore the lost history of one of the great art schools in the world. John Van Hamersveld, known for an enormous catalog of pop images. 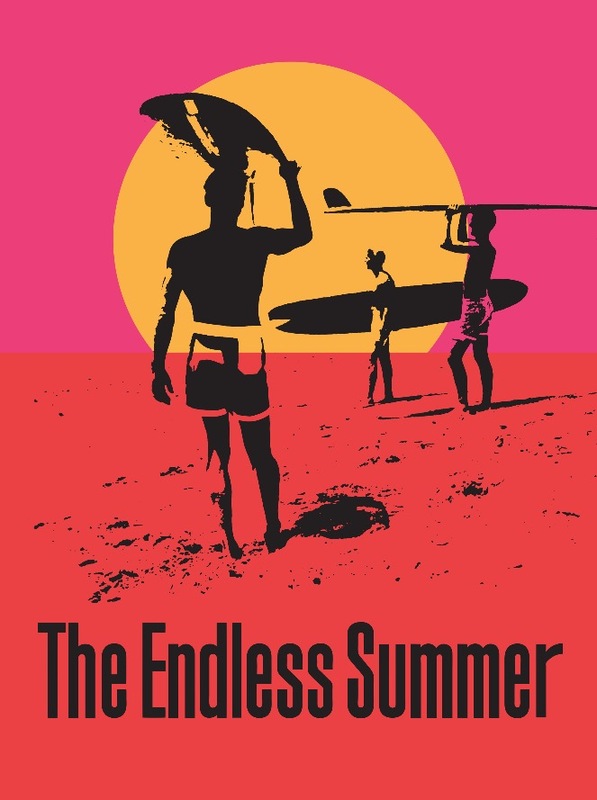 From his iconic poster for the movie The Endless Summer, to his album cover work for The Beatles (Magical Mystery Tour), Blondie (Eat To The Beat) and the Rolling Stones (Exile On Main Street) to name but a few, Van Hamersveld’s iconic images have had a tremendous impact on popular culture and fashion from the early 60s to the present, including his influence on street artist Shepard Fairey. 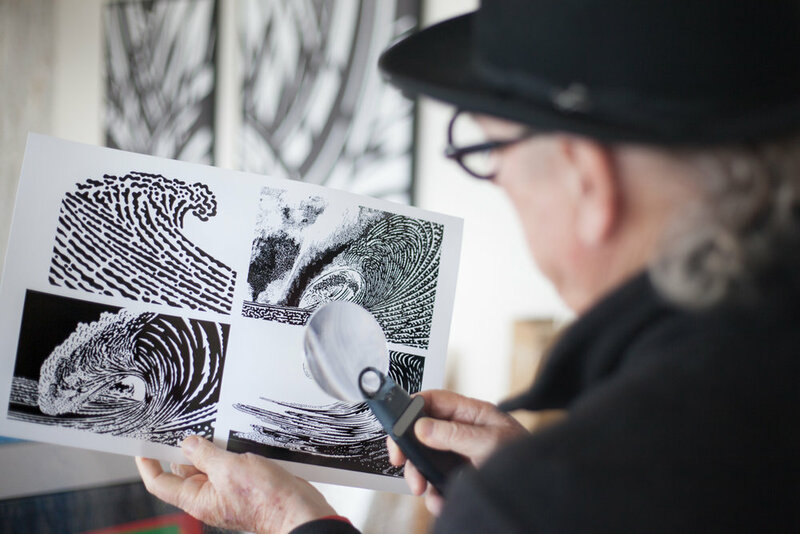 Van Hamersveld’s images incorporate a diverse mixture of sub-cultural design elements and formal academic training from both Chouinard and Art Center during the ’60s, drawing off of diverse influences from Lorser Feitelson to his life as an iconic surfer. 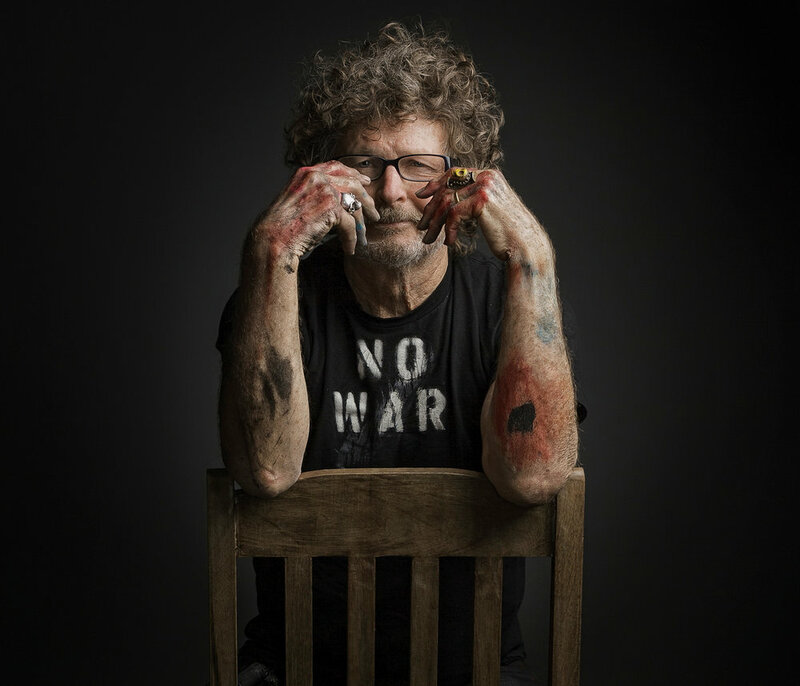 Norton Wisdom, who has been collaborating with musical ensembles for live art painting performances since 1979. 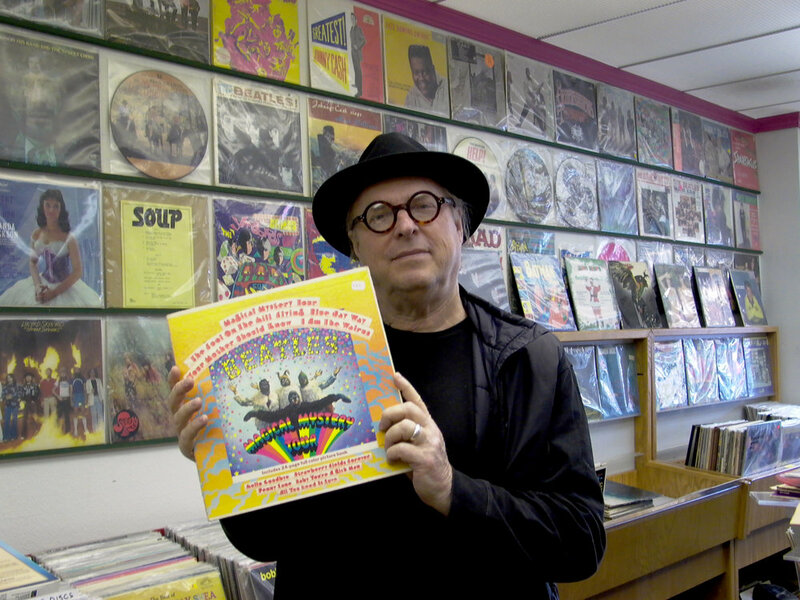 His collaborations with renowned artists include Nels Cline (Wilco), Bernard Fowler (Rolling Stones), Ivan Neville, Stephen Perkins (Janes Addiction), Llyn Foulkes, National Bamboo Orchestra of Bali, the Disney Hall with Christoph Bull, and the Winter Olympics in Salt Lake City, to name only a few. 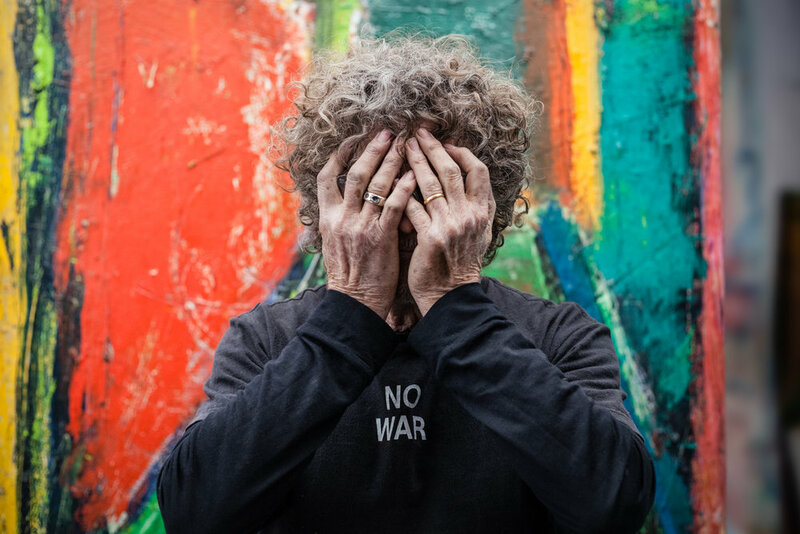 His live painting performances have touched off a growing international movement of the same type, which he has been forwarding since the ’70s. 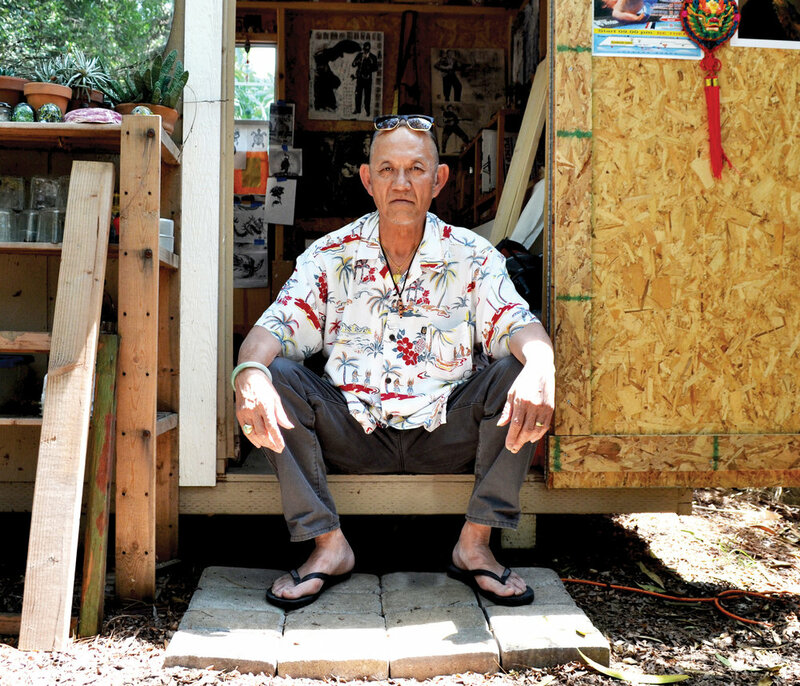 Gary Wong, who studied under Emerson Woelffer and Matsumi Kanemitsu at Chouinard and was a vital part of the shifting dialogue integral to the formation of West Coast postmodernism and surf/skate/rock culture as we know it today. 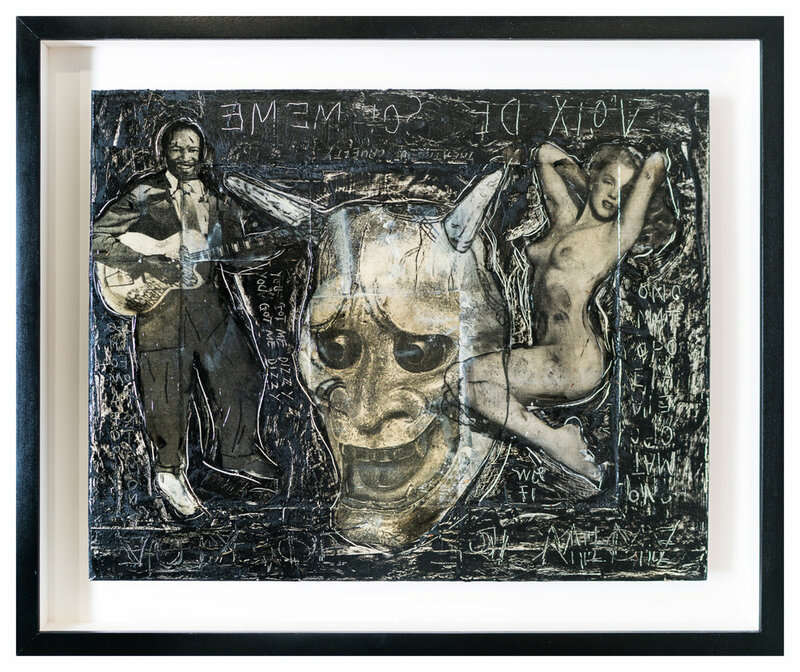 His visual language is a complex collage-based paint/draw process that often uses photography, and reflects his involvement in music as well as wider social and political concerns. Close friends and influences have included artists as diverse as Rick Griffin, Doug Wheeler and Terry Allen. The California Locos have evolved into a movement which reflects the multicultural fabric of Southern California and it’s subcultures that have resonated worldwide. 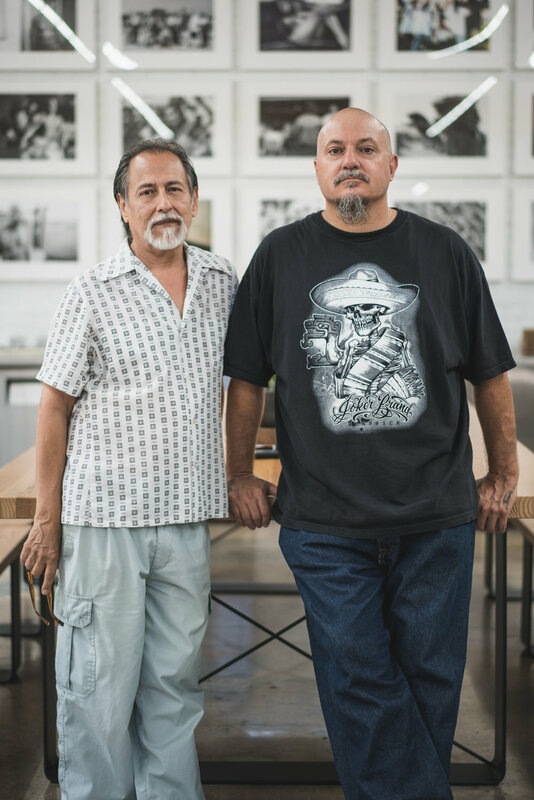 The Locos continued contributions to the West Coast culture by expanding their core membership to include works by Mister Cartoon, Shepard Fairey, Estevan Oriol, Retna, Slick and Robert Williams. Every art scene is led by an originator, a style master of his art and trade. These influential Masters are honored in this group for their life dedication as “true” creators, real pioneers that are now internationally recognized for their work. Born and raised in Los Angeles, Mister Cartoon was immersed in art from an early age. 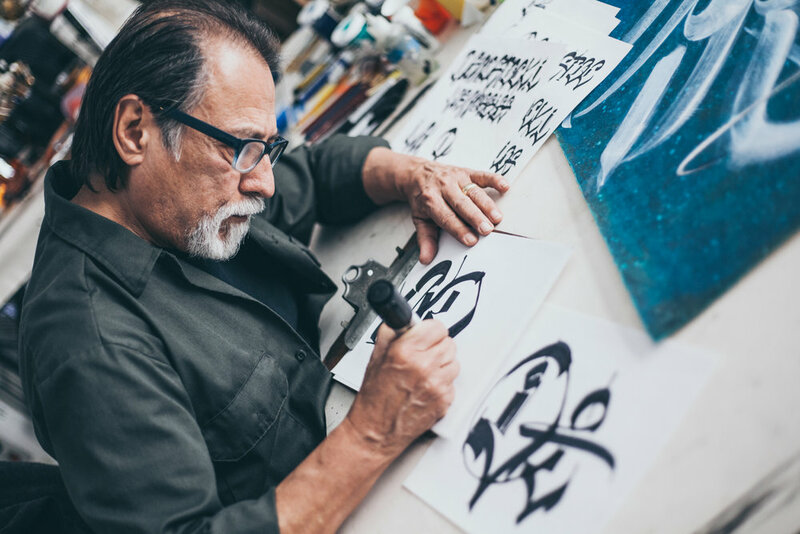 He began his career as a graffiti artist before branching into murals, album covers, logos, and now most famously known for his tattoos. His richly detailed, hand-rendered designs pull much of their inspiration from the Los Angeles of Cartoon’s youth. At one time, the black and grey, fine line style was synonymous with LA street life. Cartoon’s work has helped bridge the gap between those hardscrabble beginnings and the style’s current popularity. Stars such as Eminem, Travis Barker, Slash, Dr. Dre, 50 Cent, Beyoncé, along with athletes like CC Sabathia, Amarie Stoudemire and Carlos Boozer wear Cartoon’s art on their skin. Cartoon’s art has been featured in numerous publications including Rolling Stone, The Wall Street Journal, Complex, Juxtapoze, XXL, GQ, and others. Frank “Shepard Fairey” is one of the most influential street artists of our time. Shepard Fairey’s work has been used in screen-prints, stencils, stickers, masking film illustrations, wheat paste, collages, sculptures, posters, paintings, and murals. Shepard Fairey enjoys working with the colors black, white, and red. Fairey has constantly shifted between the realms of fine art, commercial art, street art, and even political art. 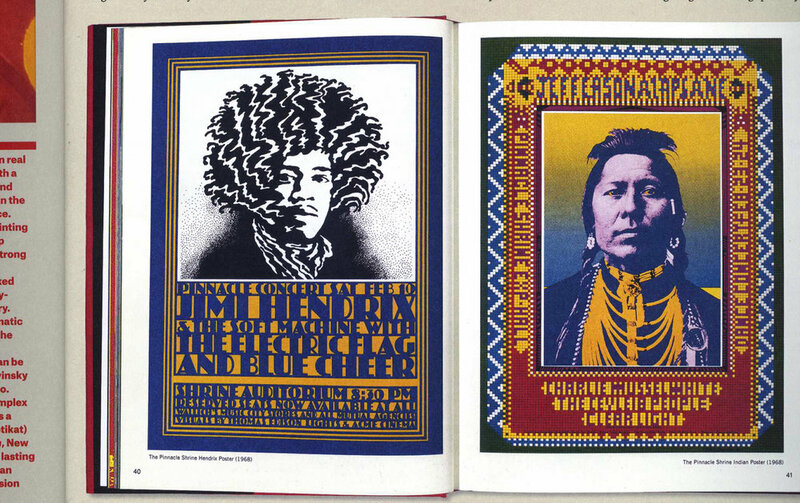 His most famous art includes images of Andre the Giant, the Obey trademark, the propaganda poster of Barack Obama, and many more. Shepard Fairey was a skateboard-obsessed art student. While in school, Shepard Fairey held a part-time job in a skateboarding shop. Soon after, he hit the skateboard community hard by pasting homemade stickers all over the place. It was then that he realized his desire and interest in the street art culture and graffiti movement. Another strong influence was his love for punk music, which he demonstrated stencils. 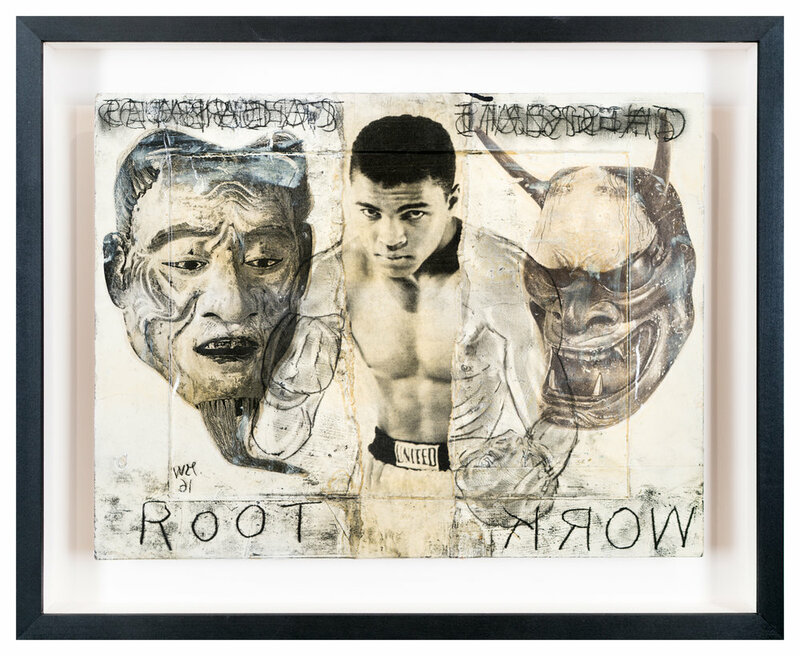 His work combines elements of graffiti, pop art, business art, and Marxist theory. His work has been seen in galleries around the world and even museums. Not only that, but is often recognized in graphic designing and signature apparel. One of his most famous works includes his portrait of Barack Obama. In fact, this portrait drew national attention to Fairey and his work quickly exploded after that recognition. This poster also received the Brit Insurance Design of the Year Award in 2009. In addition to shooting campaigns for companies including Cadillac, Nike and Rockford Fosgate and directing new media projects for My Cadillac Stories, MetroPCS, MTV and Apple, Estevan has designed album covers and/or directed music videos for artists including Eminem, Cypress Hill, Blink 182, Snoop Dogg and Xzibit. RETNA is an American street artist known for his unique typography and letterforms. 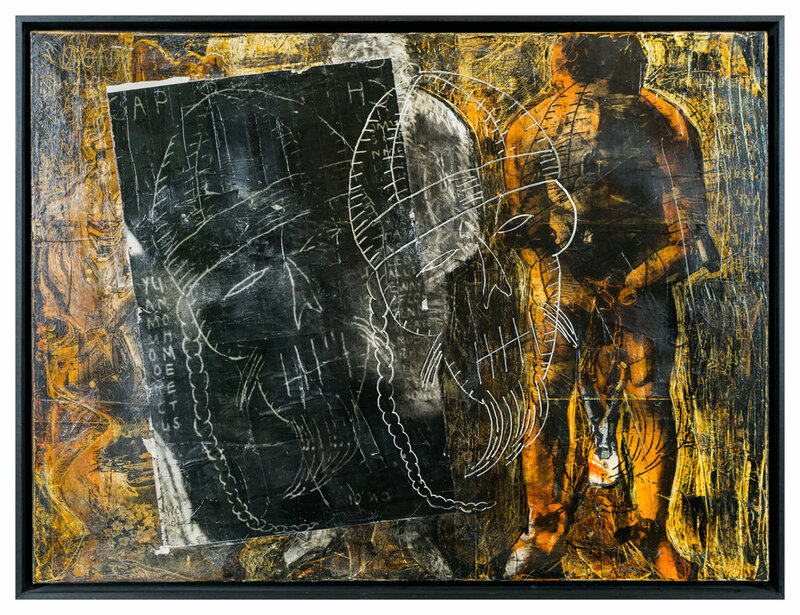 RETNA combines visual linguistics, urban poetics, and appropriated fashion imagery to explore an eclectic range of media, including graffiti, photography, and painting. “It is important to have art in the streets as a cultural fabric that is woven into the city for the upliftment of civic pride,” he once stated. Born Marquis Lewis on March 24, 1979 in Los Angeles, CA, he joined the Los Angeles mural scene as a teenager, developing his text-based signature style featuring intricate line work, complex layering, and a wide range of color. Painting with a brush in addition to a spray can, the artist achieves highly detailed line work. He has exhibited at venues throughout the world, notably including L.A. Art Machine in Los Angeles, Don Gallery in Milan, Yves Laroche Galerie d’Art in Montreal, and Art for All in Malaga, among others. The artist continues to live and works in Los Angeles, CA. SLICK’s rise to the top can be traced back to the mid 80′s, painting on the streets of Honolulu to the mean streets of Los Angeles. SLICK spent his early years attending the Art Center College of Design during the day and doing graffiti at night. Whether it’s painting a mural, designing a sneaker, formulating a paint scheme for an automobile, art directing graffiti for a video game, creating an entire collection season after season for DISSIZIT, or as small as signing his name for a fan, SLICK treats each and everything he touches as a work of art that’s worthy of being SLICK. Over 25 years in the game and still no signs of slowing up. This alternative art movement found its most congealing participant in one of America’s most opprobrious and maligned underground artists, the painter, Robert Williams. It was this artist who brought the term “lowbrow” into the fine arts lexicon, with his ground breaking 1979 book, The Lowbrow Art of Robt. Williams. It was from this point that he seminal elements of West Coast Outlaw culture slowly started to aggregate. 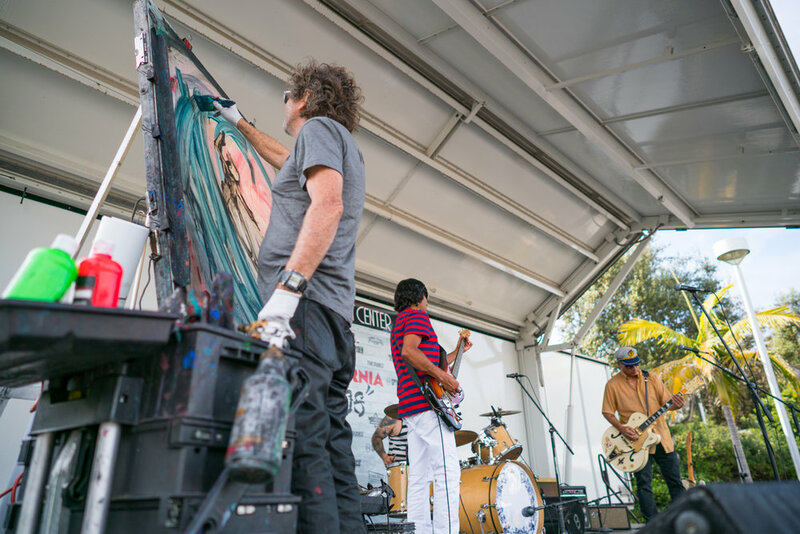 What makes a group of distinctly individual artists like Chaz Bojórquez, Dave Tourjé, John Van Hamersveld, Norton Wisdom and Gary Wong combine forces into a collective identity? The group affectionately called the California Locos is just that, and although we think of their artistic creativity as individual efforts, there is something special that has stemmed from their unusual union. Each of the varied artists, all raised in Southern California, came to this group on the back half of their careers after achieving individual reputations and distinctions in their respective circles. While their collective achievements are impressive, the impetus for the Locos’ foundation is far more than a veneer. Becoming a Loco is not related to being crazy, according to Bojórquez, but to being crazy about life. Their mutual paths tie them together like a spider web, as their artistic and personal paths crisscrossed from school to the streets and from punk clubs to the gallery scene. The CALIFORNIA LOCOS have evolved into a movement which reflects the multicultural fabric of Southern California and it’s subcultures that have resonated worldwide. In true LOCOS style, opening night featured a Lowrider by Mister Cartoon, Hot Rod by Dave Tourjé and a new Dusters California X CALIFORNIA LOCOS skateboard release. This first of its kind show of SoCal Masters was a historic classic, opened on September 16th, 2017, at Eastern Projects Gallery in LA’s Chinatown. SOMOS LOCOS was the latest stop on the California Locos pop-up tour of evolving exhibitions and historic cultural events. 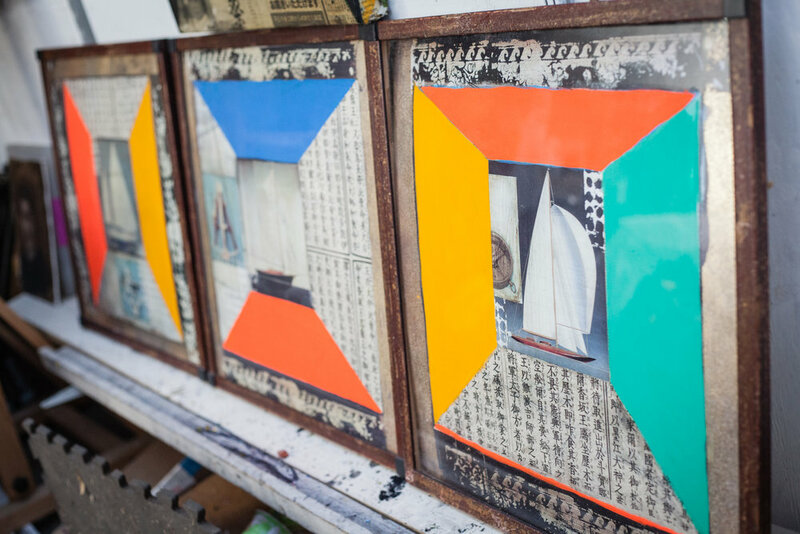 The Manhattan Beach Art Center hosted a group show of original art works, rare ephemera, and fresh surprises from the original LOCOS artists: Chaz Bojórquez, Dave Tourjé, John Van Hamersveld, Norton Wisdom and Gary Wong. The exhibition also sees the release of both a new Dusters skateboards, with an original LOCOS design by Duster's Creative Director, Nano Nobrega, and a hardcover book release with essays by art scholars Charlotte Eyerman, Jim Daichendt. The exhibition was introduced by distinguished art critic Shana Nys Dambrot. 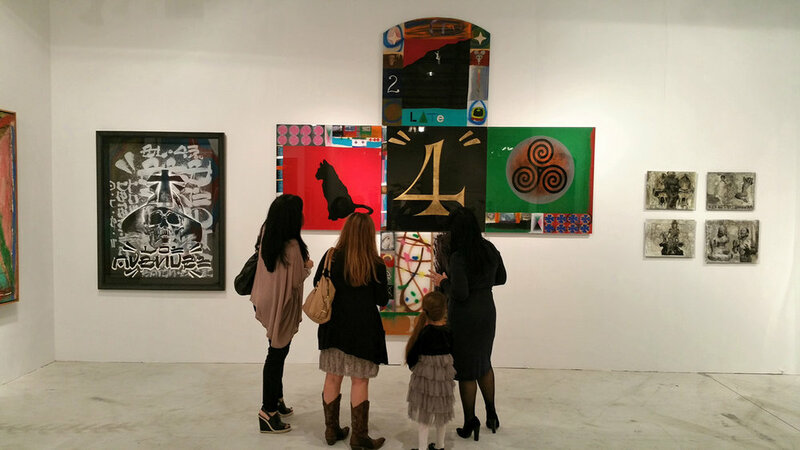 The Virginia Beach exhibition marks a return to the East Coast for the California Locos, who also exhibited at the 2014 Context Art Miami art fair, where they reached an international audience. 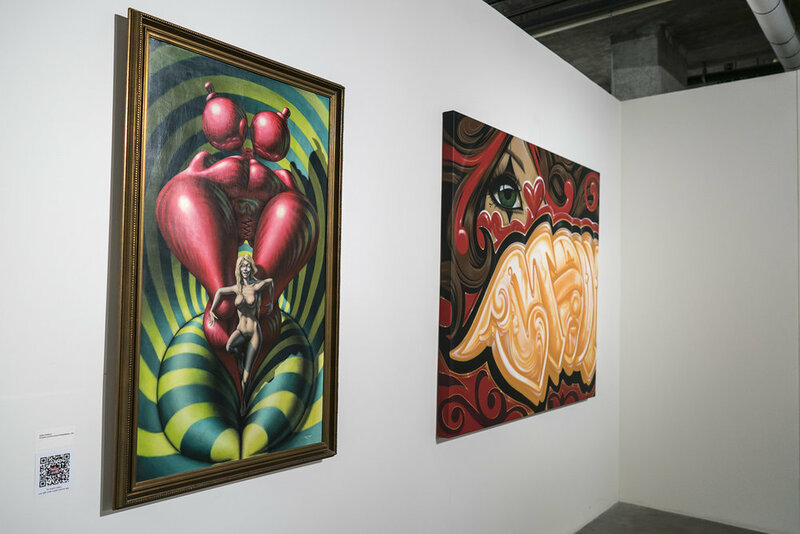 Represented at Art Miami by Mat Gleason of Coagula Curatorial, California Locos have also exhibited at Red Pipe Gallery in Chinatown with curators Tracy Huston and Duncan Linthicum, as well as at Zack de la Rocha’s Medina Gallery. A collective, dynamic show, the amazing synthesis of the California Locos artists’ work explores these artists’ remarkable roots and continued profound cultural influence. Opening night for the California Locos 2016, an epic original street/surf/skate artists show, took place in Venice Beach, California, on June 25, 2016, at Juice Magazine HQ and at the Rose Room. 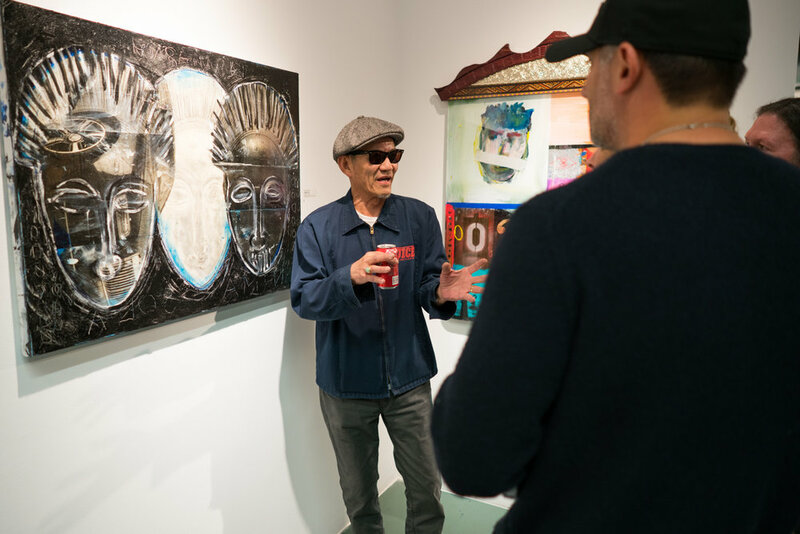 The California Locos 2016 show featured a variety of art discussions and mentoring panels featuring Christian Hosoi, Ivan Hosoi, Larry Bell, Oliver Bell, Jeff Ho, Jim Ganzer, Brad Howe and Michael de Nicola, moderated by acclaimed art writer, Shana Nys Dambrot. The CALIFORNIA LOCOS—five pioneering Los Angeles artists whose roots are in graffiti, surf, skate, punk rock, as well as the contemporary artworld—bring their edgy, sun-soaked styles to an even larger audience with new works for a pair of week-long bicoastal summer shows, while launching the CALIFORNIA LOCOS skateboards by DUSTERS CALIFORNIA, led by creative director Nano Nobrega and premiering highlights from the documentary Crazy World Ain’t It—The Life and Times of John Van Hamersveld. In addition, the release of a new collaborative poster designed by John Van Hamersveld and Dave Tourjé. The Must-See Group Show of L.A. Culture-Defining Artists Head to Miami during Art Basel. 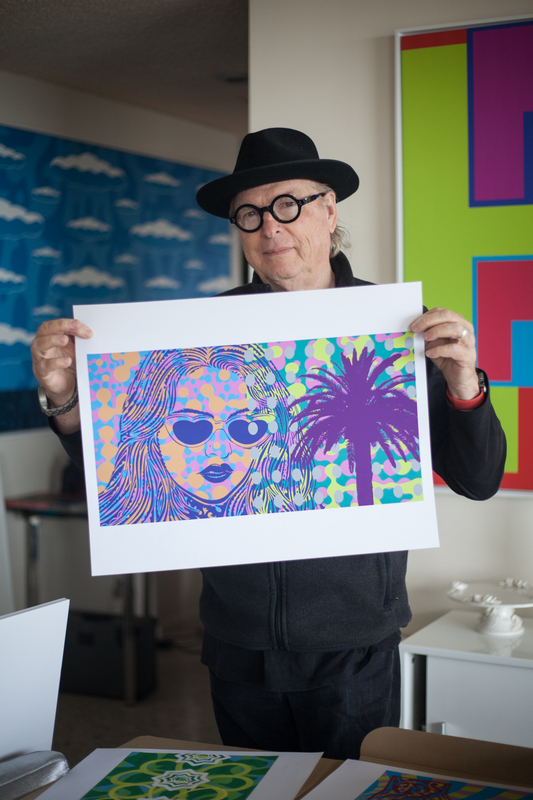 CALIFORNIA LOCOS, represented by Coagula Curatorial’s Mat Gleason, brings over 50 years of Southern California art culture to Context Miami December 2-7, 2014. The traveling show, which premiered with positive press and curious crowds in Los Angeles earlier this year, features the work of legendary artists Chaz Bojorquez, Dave Tourjé, John Van Hamersveld, Norton Wisdom and Gary Wong: artists who are deeply rooted in the Southern California landscape, each having been influenced and inspired by the surf, skate, punk rock, and the barrio culture that is Los Angeles. As art critic Shana Nys Dambrot says, “Understanding the LOCOS legacy is not about who influenced them, so much as it is about who they went on to influence.” The ripples of their visual styles across the world are impossible to deny, and after a stellar critical reception in Los Angeles, the CALIFORNIA LOCOS are coming to Miami’s international Art Basel to take their rightful place at the art table.